Thibaut Courtois is set to miss Real Madrid’s Super Cup clash with Atletico Madrid on Wednesday evening, according to reports in Spain. The Belgium international completed his £35 million move from Chelsea to the Santiago Bernabeu last week. 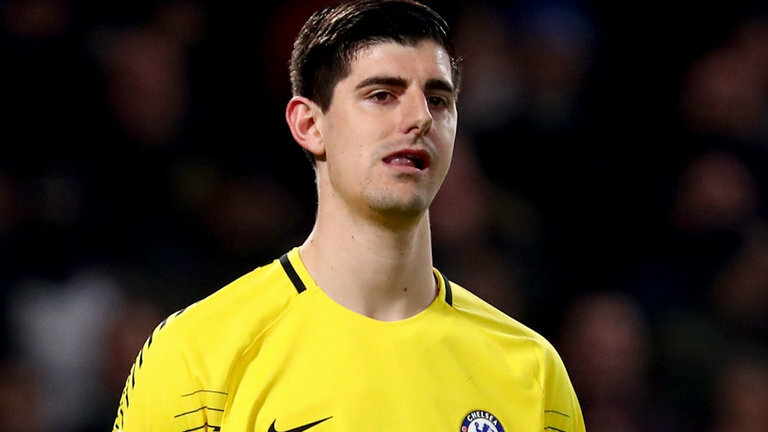 Courtois has travelled with Real Madrid’s squad to Estonia for their Super Cup tie against Atletico on Wednesday and was expected to make his official debut. The 26-year-old also trained with his Madrid teammates on Tuesday evening at the Lillekuela Stadium in Tallinn. But Cadena COPE reports that Courtois will not feature against Atletico as he has not been registered with UEFA to play in the competition. That means Keylor Navas will start in goal ahead of Madrid’s latest marquee signing, while Kiko Casilla is set to be on the bench. During Tuesday’s training session, Julen Lopetegui gave no secrets away regarding his team selection as Madrid’s players took part in a small-sided game. Navas did take part in the match but Courtois trained separately alongside Luca Zidane and Andriy Lunin with the goalkeeper coach. Courtois could be given his debut on Sunday as Madrid begin their La Liga campaign against Getafe at the Santiago Bernabeu.